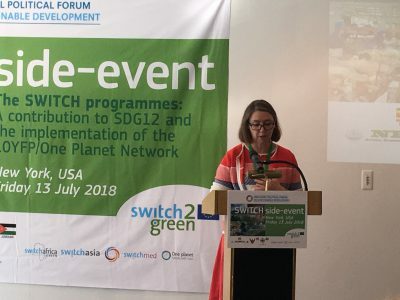 Organised by the SWITCH to Green Facility, in collaboration with three SWITCH partner countries (Uganda, Thailand and Jordan), the SWITCH Regional Programmes (Asia, Mediterranean and Africa), and the One Planet Network, the event discussed the importance of Sustainable Consumption and Production (SCP) to the 2030 Agenda, highlighting the contribution of the SWITCH Programmes to sustainable growth, job creation and environmental objectives. 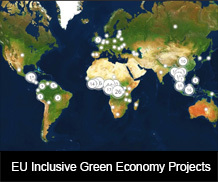 The EU indicated that the new European Consensus on Development, which provides the framework for EU development policy, gives high attention to SCP, as a means to achieve both its Prosperity and Planet objectives. 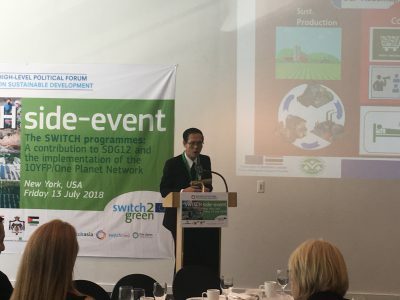 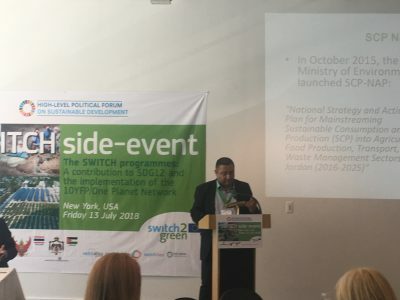 Uganda, Thailand and Jordan shared their experiences and success stories from the SWITCH programmes in promoting an inclusive green economy and, in particular, in implementing SCP policies and practices. 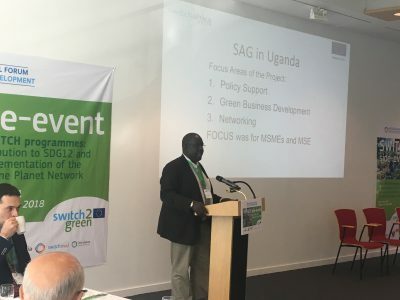 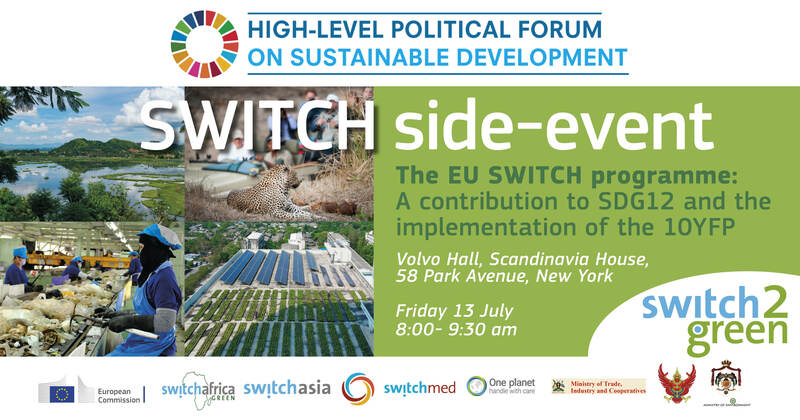 Focus was put on the benefits for SMEs, workers and consumers deriving from the SWITCH Africa Green, SWITCH-Asia and SwitchMed programmes, and how these EU supported programmes contribute to the attainment of SDG 12 in partner countries and globally. 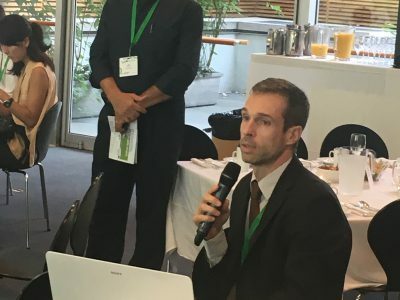 A snapshot of the Evaluation of EU Cooperation on Green Economy nourished the discussion with the summary of its recommendations presented by Mr Thibaut Portevin, DG DEVCO, Policy Officer Green Economy. 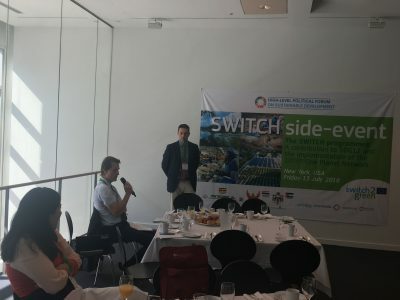 The session was co-moderated by Mr Alexander Charalambous, Team Leader SWITCH to Green Facility and Arab Hoballah, Team Leader SWITCH-Asia SCP Facility The full agenda and PPT presentations of the speakers are available here.